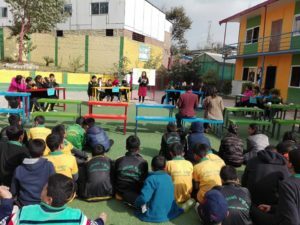 Panini School provides ECA (Extra Curricular Activities) every day to every students that includes many sports games, dance, music, drama, Art and Craft etc. 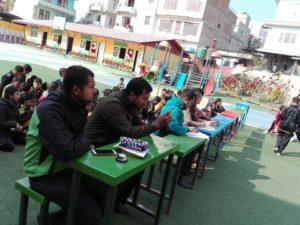 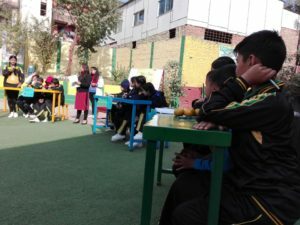 However, some special program related to ECA is even organized to make active participation of student to test their level of abilities so that they can progress further. 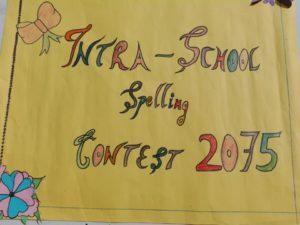 Following the path on similar manner this Friday dated on 2075/08/14, Panini Conducted the Intra School Spelling Contest as Spelling helps cement the connection that is shared between sounds and letters where Red House was able to hold the first position.